An energetic multimedia exhibition of contemporary art from the Jim Barr and Mary Barr Collection, showcasing acclaimed young New Zealand artists alongside international luminaries. 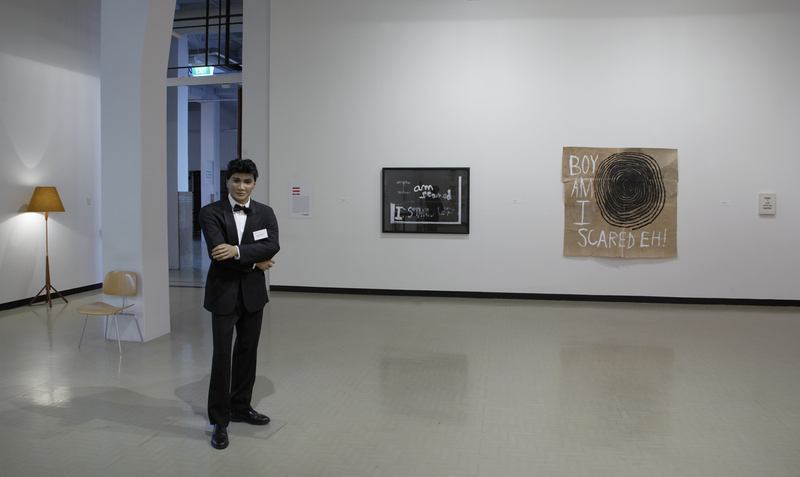 A Dunedin Public Art Gallery Touring Exhibition. Reboot: The Jim Barr and Mary Barr Collection features work by Hany Armanious, Stephen Birch, Olaf Breuning, Marizio Cattelan, Ali Subonick, Massimiliano Gioni, Rob Cherry, Julian Dashper, Neil Dawson, Simon Denny, Don Driver, Mikala Dwyer, et al., Warwick Freeman, Jeffrey Harris, Michael Harrison, Glen Hayward, Jae Hoon Lee, Giovanni Intra, Richard Killeen, Eileen Leung, Colin McCahon, Paul McCarthy, Dane Mitchell, Kyoko Murase, Yuko Murata, N.I.C.J.O.B., Rose Nolan, Michael Parekowhai, John Parker, Don Peebles, Peter Peryer, Patrick Pound, Peter Robinson, Marie Shannon, Michael Stevenson, Axel Stockburger, Ricky Swallow, Francis Upritchard, Ronnie van Hout, Lachlan Warner, Rohan Wealleans, Gillian Wearing and Lawrence Weiner. Text taken from Christchurch Art Gallery website. 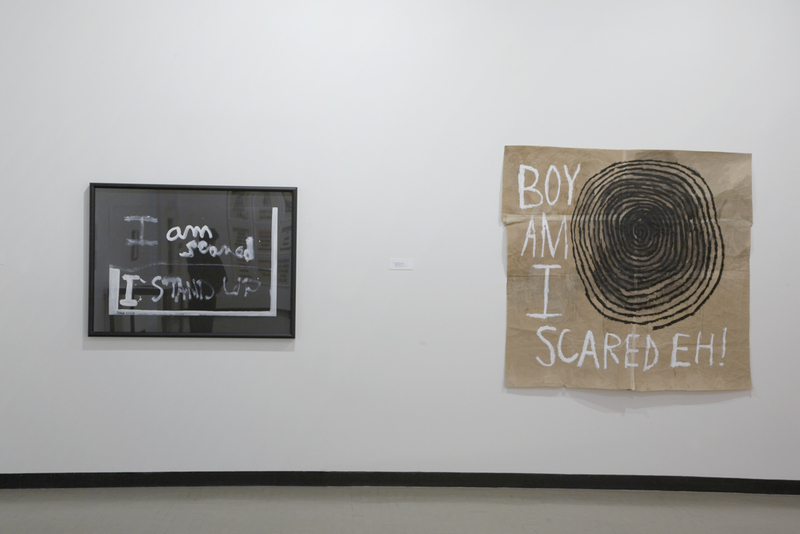 An additional artwork, Scared, 1976 was exhibited in Reboot when it toured to the City Gallery Wellington Te Whare Toi, 23 Feb - 15 June 2008. Installation images show this.